IMPACT was once again a sponsor of INBOUND this year. This was my first year at INBOUND as part of the IMPACT team, and man was it cool. In this episode of the IMPACT Show, Nick, Dan and I chatted about events large and small, what INBOUND was like this year, and much more. 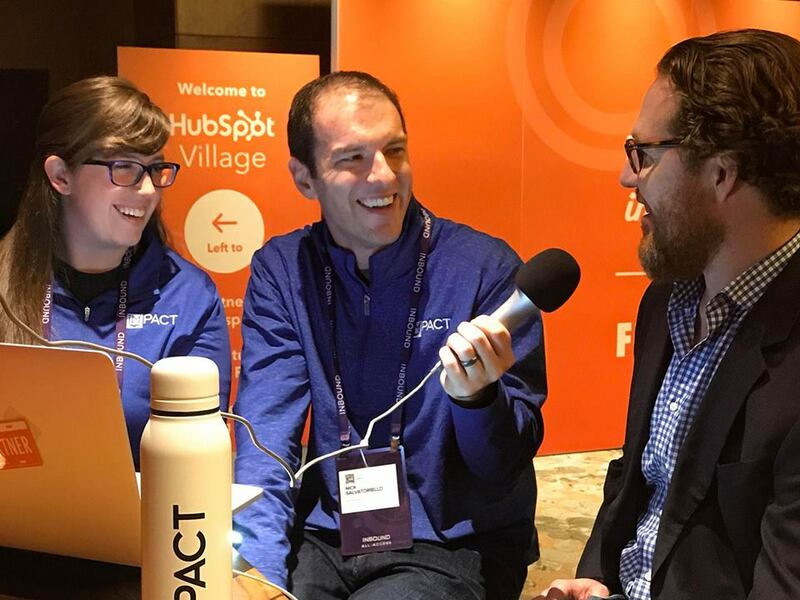 We also talked a bit about HubSpot's movement from the funnel to the flywheel as well as HubSpot Enterprise. We even talked about HubSpot's outage yesterday and how Dharmesh's keynote was related. P.S. have you been in Elite lately? Nick shared some of his favorite photos from INBOUND in Elite as well as a kind gesture by an Elite member. I also shared some of my favorite selfies from the week! Nick, Dan and I talked about preparing for speaking engagements, overcoming those pre-stage jitters, and more. Dan mentioned the great TEDx talk by Amy Cuddy which was also sent to me by a friend right before my talk this week. That's it for this week! We wrapped with our final thoughts which, as always, you can catch by watching or listening to the broadcast. Registration for IMPACT Live 2019 is open!